This well-priced, beautiful patio home is located in the ever popular Parkwood Village in North Nanaimo so very convenient for shopping, transportation and all the amenities the north end of town has to offer. 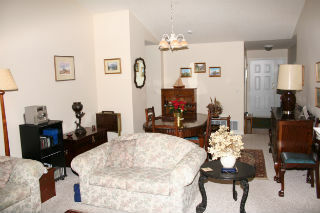 The home has splendid 11' vaulted ceilings, a gas fireplace and a skylight over the kitchen/eating nook. There are two bedrooms and two bathrooms with the en-suite being 4 piece with a tub. The master bedroom has a walk thru closet area to access the en-suite and is at the rear of the home so overlooks the private garden and patio. The well designed kitchen has the added bonus of an eating nook as well as the dining area to be found in the open plan living area. There is a good sized laundry room with extra wall mounted cabinets for added storage space. 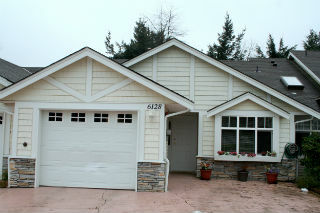 The home is priced at $259,900.